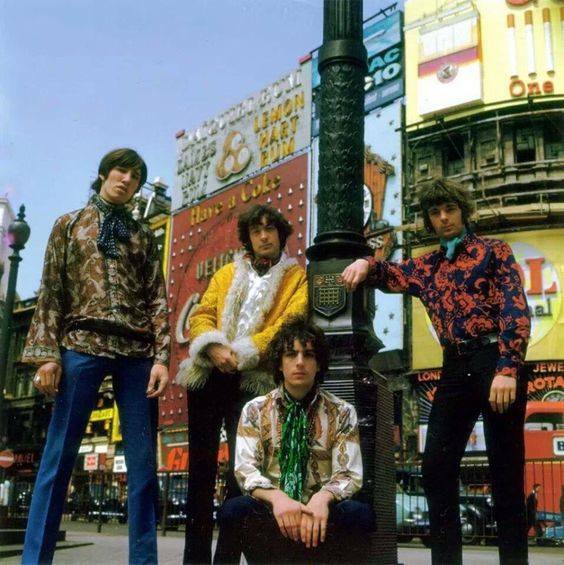 Pink Floyd are streaming video of a live performance of their classic instrumental, “Interstellar Overdrive”, from a 1967 concert at London’s famed Roundhouse. The Roundhouse was one of a number of venues on a London underground music scene that embraced Pink Floyd in their formative years, as the band enhanced their live appearances with slide shows, visual and sound effects, and audio presentation via quadraphonic speaker systems. While “Interstellar Overdrive” often opened the group’s shows in the mid-to-late 1960s, it disappeared from the lineup for concerts after 1971. Pink Floyd drummer Nick Mason will perform a pair of shows at the Roundhouse on a spring 2019 UK tour. Along with his band, Saucerful Of Secrets, Mason will deliver a spring series of five dates that will begin in Cardiff next April and end with two nights at The Roundhouse in London in early May. Ahead of the UK series, Mason and company will be seen across North America on a five-week trek that will begin in Vancouver, BC on March 12.